It was 40 years ago when the first and last Boeing 707-138B produced flew under the Qantas livery. 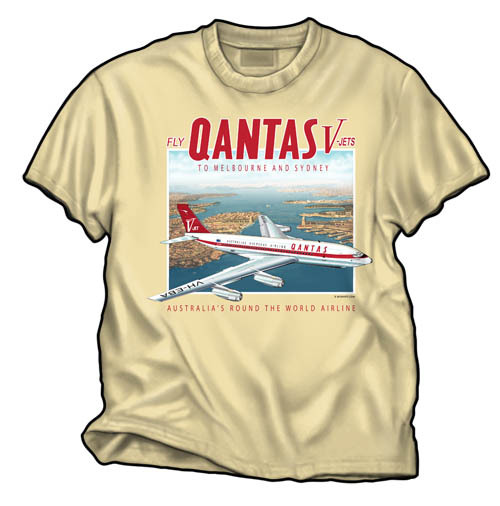 History was recently repeated in December 2006 when the former VH-EBA and VH-EBM were both flown to Orlando for a Qantas 707 reunion. Both aircraft were painted in their original delivery liveries and marked the only occasion the two operational 707-138B’s would be together prior to the preservation of VH-EBA. Qantas was the first and only Boeing customer for the 707-138. Most Boeing 707-100 series aircraft were ordered by Pan American and American Airlines. Qantas requested a 707 with an increased range over the standard 707-100 series aircraft and the 707-138 was created. In addition to the increased range, the 707-138 also includes a 10 foot reduction to the rear fuselage making it the shortest 707 produced. A few years after the early 707-138’s were introduced, engine and airframe modifications were completed to improve the aircrafts performance and the 707-138B became the new standard. Only 13 Boeing 707-138B’s were produced as advances in technology led to other variations of the aircraft. VH-EBA (c/n 17696) was the first Boeing jet aircraft sold outside of the United States when delivered to Qantas in 1959. The aircraft operated with Qantas for eight years and was sold to Pacific Western Airlines in 1967. In 1978, the aircraft was sold for a VIP conversion and in 1987 it operated for the Royal Saudi Air Force. In 2006, the aircraft was purchased by the Qantas Foundation Memorial for a static display at the Qantas Founders Outback Museum in Longreach Australia. The aircraft was temporarily registered as VH-XBA for the ferry operations since its original registration, VH-EBA, is currently in use for a Qantas Airbus 330. Ironically VH-EBA was also the registration for the first Boeing 747 delivered to Qantas in 1971. VH-EBM (c/n 18740) was the last Boeing 707-138B produced and remains the only known 707-138B in active service. The aircraft was delivered to Qantas in 1964 and remained in service until it was sold to Braniff in 1969. In 1973, the aircraft was withdrawn from service and converted to a VIP configuration in 1975 and sold to its current owner in 1998. VH-EBM, now registered as N707JT, gains a lot of attention as it travels the world especially since its owner is a well known aviation enthusiast and “Ambassador at Large” for Qantas. 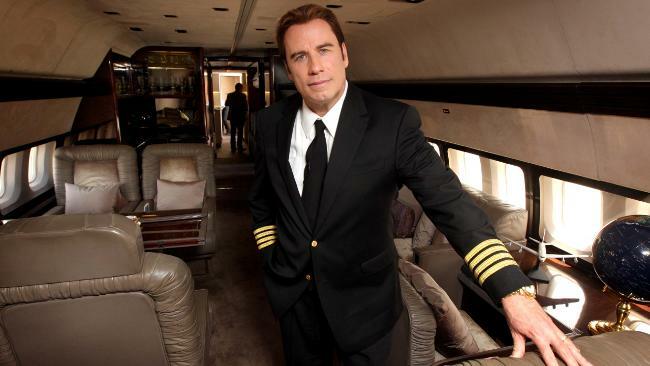 John Travolta owns and pilots N707JT on average 200 hours a year. During his eight years of operating the aircraft, Travolta has accumulated 1600 hours on the 707-138B and has also completed 747-400 training with Qantas. 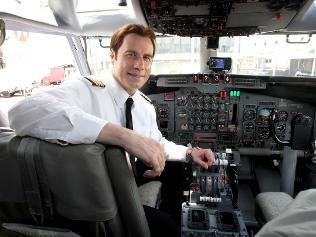 Mr. Travolta also had the recent honor of becoming the only non-test pilot to sit in the left seat and pilot the Airbus 380. The Boeing 707 began a new era in commercial aviation in the late 1950’s. Mr. Travolta said, “The 707 fly’s the seven seas.” With its extended range and speed, the 707 reduced travel times between London and Sydney from 48 hours to 27 hours, which is comparable to today’s trip of 23 hours. 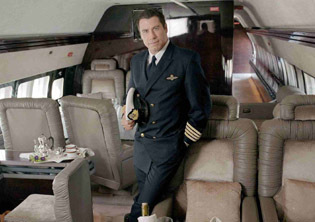 Travolta’s 707, with 29,000 airframe hours, contains most modern day luxuries and the latest technology allowing him to conduct business around the world for the foreseeable future. Even though VH-EBA will be deactivated from flight status and preserved at the Qantas Founders Outback Museum in Longreach Australia, the aircraft will live on in its new role. Unfortunately a majority of older aircraft are destroyed after their useful life. VH-EBA is a rare exception preserving a significant accomplishment in commercial aviation. Qantas Airways' First Boeing 707 Jet Journeys across the U.S.
More than 47 years after the first Boeing 707 jet airliner joined the Qantas fleet, the aircraft, previously known as City of Canberra, is set to make an historic return to Australia. With several stops, including Orlando, Florida, Los Angeles and Honolulu, the airplane is making history again as it commemorates these first jet flights. Qantas Chairman Margaret Jackson and Minister for the Environment and Heritage Senator Ian Campbell said the first Qantas Boeing 707, the first jet aircraft sold outside of the United States, would make a celebratory return to Australia. "I'm proud to announce that this Boeing 707, believed to be the last and oldest of its kind in operation, will make its permanent home at the Qantas Founders' Outback Museum in Longreach, Queensland," said Margaret Jackson. In Orlando, Florida, the aircraft that was originally delivered to Qantas in 1959 and recently restored to airworthiness was met by Qantas Airways Global Goodwill Ambassador John Travolta, who owns and pilots the only other commercial B707 that remains in operation today. Upon its return to Australia, the aircraft will visit Brisbane before it arrives at its final destination in Longreach. "Thanks to the funding of AUD$1 million from the Australian Government and the efforts of some dedicated Australian aviation enthusiasts, both within and from outside Qantas, this aviation milestone is soon to come full circle," said Jackson. "This aircraft played an important role in our history, literally bringing the world closer to Australia. The Boeing 707 reduced the flight time between Sydney and London from 48 hours to 27 hours, which is comparable to today's trip of 23 hours. "The introduction of the Boeing 707 also started a collaboration between Qantas and the Boeing Company on aircraft design, with Boeing's 747s, 767s, 737s, and 717s joining the Qantas fleet at different times, and the latest - the 787 Dreamliner - to be welcomed in 2008," Jackson added. Ten retired Qantas engineers ensure the aircraft's airworthiness and an operating crew including Qantas Captain Murray R. Warfield and two first officers, are flying the aircraft to Australia. Ms. Jackson said the repatriation of this aircraft was made possible thanks to the Australian Government, Boeing Australia and Shell.